Cataract is a clouding of the crystalline focusing lens inside your eye. 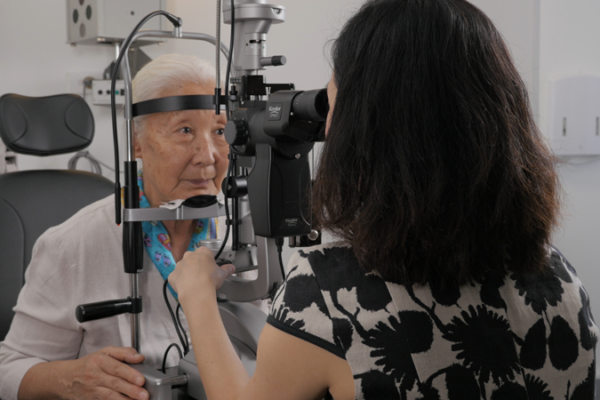 It is a normal part of aging and almost everyone will get some degree of cataract if they live long enough, though some people may not notice any symptoms. Symptoms of cataract include blurry vision, glare, halos, change in glasses prescription, difficulty reading fine print and difficulty driving at night. Trouble seeing up close without glasses after your mid 40s is not caused by cataract, but is a condition called presbyopia which is a hardening of the focusing lens so that it can no longer focus up close. Treatment for this is reading glasses or refractive surgery. In the early stages cataract may be effectively treated by updating your glasses prescription. When new glasses can no longer improve your vision, or you are getting significant symptoms such as glare or night driving problems, then it is time to consider surgical removal of your cataract. Surgery is the only treatment which is effective at removing cataract, and fortunately it is now very safe and very effective. The cataract is removed through a very small incision which is 2.2 mm wide using high frequency sound waves (ultrasound), and replaced with a clear implant lens (IOL) which is usually made of a special plastic. There are no eye drops, medication or eye exercises which will make your cataract go away. The success rate for modern cataract surgery is between 95 and 98%. Most cases are able to be performed as day surgery (not requiring hospital admission) and under local anaesthesia. Rare cases may require general anaesthetic or overnight hospital admission. Local anaesthetic can be either with just eye drops (topical anaesthesia) or with an injection near the eye to make it numb. You should not feel any pain with either of these techniques, though you may have some minor feelings of pressure in the eye and be aware of coloured lights during the surgery. Most local anaesthetic is supplemented by mild sedation administered by a specialist anaesthetist to make you more comfortable and relaxed during the surgery. Most routine cataract eye surgery takes between 15 and 30 minutes to complete. Your eye will be covered by a shield or patch for the first night, and most people’s vision is greatly improved by the next morning, though it may take up to a week to completely clear. In most cases no stitches are required. Usually there is no pain following surgery, though there may be a feeling of scratchiness or discomfort for a few days. Most people are able to return to work within a day or two, though you should avoid strenuous activities and swimming for two weeks following surgery. You will be given eye drops to use for a period of four weeks following your surgery. Surgery is almost always performed on one eye at a time, the second eye being done between 1 and 6 weeks after the first. 95-98% of people will have improved vision after cataract eye surgery. If your eyes are otherwise healthy, there is an excellent chance you will have “normal” vision after the surgery, so called 20-20 or 6-6 vision. If you have other significant eye problems, such as macular degeneration, glaucoma or corneal disease, the cataract operation will not be able to fix these, and you may not get complete return of vision afterwards. There is usually still significant improvement in your vision however, though the amount of improvement is often not predictable before surgery. When your cataract is removed, a clear plastic lens or IOL is inserted into your eye to enable you to see clearly afterwards. This is what is measured when you have your ultrasound or A-scan before surgery. With standard IOL implantation your vision will be much better, but there is a significant chance you will need glasses for some visual tasks after surgery, especially for reading. For those who are interested in not needing glasses after surgery there are now several treatment options available to either let you not need glasses at all, or at least be much less dependent on your glasses for normal activities. For people who do not want to use reading glasses after surgery, there are two ways of achieving this. The first is to put a slightly different lens in each eye, correcting one eye for distance and leaving the other eye slightly short sighted so it can see up close at the same time, which is called Monovision. The other option is to use a modern bifocal implant lens such as a Restor or Crystalens, which gives distance and near vision in both eyes at the same time. If you are interested in these options our doctors will discuss them further with you during your consultation. 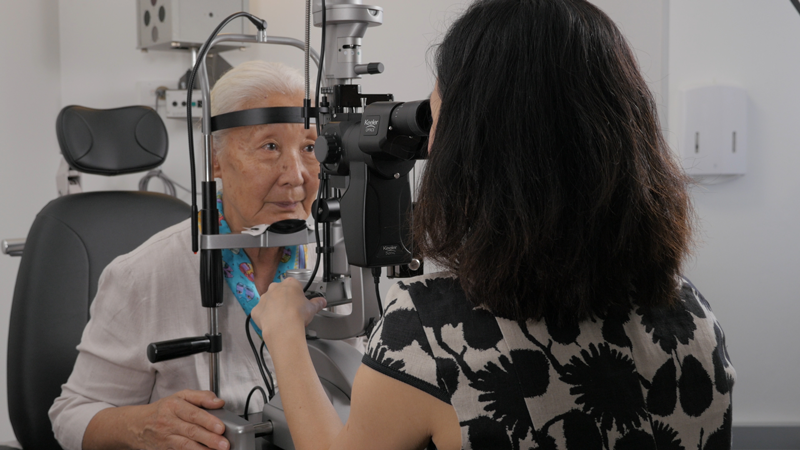 Complications are fortunately very uncommon after cataract surgery, but it is possible for your vision to be made worse if something goes wrong. If your eye is otherwise healthy this is less than a 1 in 100 chance. Serious complications include infection and bleeding inside the eye, high pressure or detachment of the retina and decompensation of the cornea. In some cases the cataract cannot be completely removed by one operation and requires a second operation (vitrectomy) to completely remove all fragments of the cataract. In rare cases it is even possible for the unoperated eye to be affected (sympathetic ophthalmia) but unless there has been previous severe trauma to your eyes this risk is exceptionally remote. In approximately 1 in every 20 cases a cloudy membrane can develop behind the plastic implant lens, called posterior capsule opacification. This is easily, quickly and safely able to be treated with a laser to restore your vision and does not require going back to hospital. In routine cases your vision will be brighter and clearer within one to two days after surgery, though it will continue to improve for a week or so. Legal driving vision is usually obtained one to two days after surgery. Complex cases may take longer before your vision improves. Pain worse than a dull ache is very uncommon. Many people experience a scratchy feeling for a week or two after surgery. As the new lens settles into position many people will notice shimmering or flickering of vision, which is normal. Some people will also notice a crescent shape of light in the edge of their vision which is reflection from the edge of the lens and usually resolves over a few months. If you have had monovision (one eye for reading and one for distance) you will probably not get good distance vision until you have had both eyes operated on and it may take a few weeks for your vision to feel normal again. Cataract is natural aging change in the crystalline lens inside the eye. When symptoms of blurry vision or glare become significant, modern surgery is able to safely and effectively remove the cataract and improve vision in the great majority of people. If you have any questions about any of this information, or any concerns you may have, please do not hesitate to ask your Terrace Eye Centre doctor during your consultation or prior to your surgery. Contact us for a cataract eye surgery consultation.